The Oromo people’s struggle against the dictatorial Ethiopian government, for the respect of their human rights, has been intensified since 2014 in much coordinated anti-government protests engulfing the country. The Ethiopian government security forces violently responded to peaceful Oromo protesters, killing thousands and jailing indefinitely hundreds of thousands innocent Oromo. On September 3, 2016, with unparalleled cruelty, the Ethiopian regime burned alive Oromo prisoners of conscious and gunned down those who were trying to escape the fire. As we all know, the Ethiopian government also imposed a 10-month state of emergency that ended last July, in which it committed untold crimes against humanity to silence the Oromo people upraise for the respect of their human rights. On October 2, 2016, the Ethiopian security forces interfered and disrupted the celebration of one of the biggest Oromo cultural events known as Ireechaa Festival, and massacred over one thousand innocent people. Currently, the Ethiopian government supported Somali militia (Liyu Police) has opened war against peaceful Oromo in eastern and southern Oromia, and killed several people including children and elderly, dismantled over 55,000 thousand from their ancestral lands, and confiscated their properties. There is no room for any independent Oromo or other such organizations to move freely in the country. 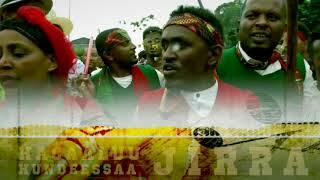 Top political leaders of Oromo Political parties are suffering in the Ethiopian notorious jails. While all these crimes against humanity are being committed on the Oromo by the Ethiopian government, no much international pressure is there to stop it. The Oromo Community Organization of Washington DC condemns with strongest terms such inhuman acts being perpetrated on our people, and calls upon all Oromo in the DMV to stand together, be a voice for the voiceless, and support the victims. The OCO is working on various events including a peaceful protest in Washington DC to echo the grievance of our people back home. There will also be Oromo public gathering to discuss on how we can financially support our people who are war victims in eastern and southern Oromia regions. For more information about the rally please check this calendar event. Please stay tuned for the details. ?For more information about the fundraising please check this calendar event.